Frequently described as simultaneously the most noticeable and the most overlooked landmark along the Saddle Road, Kipuka Pu’u Huluhulu rises more than 200 feet out of the surrounding lava flows at the summit of the Saddle Road. 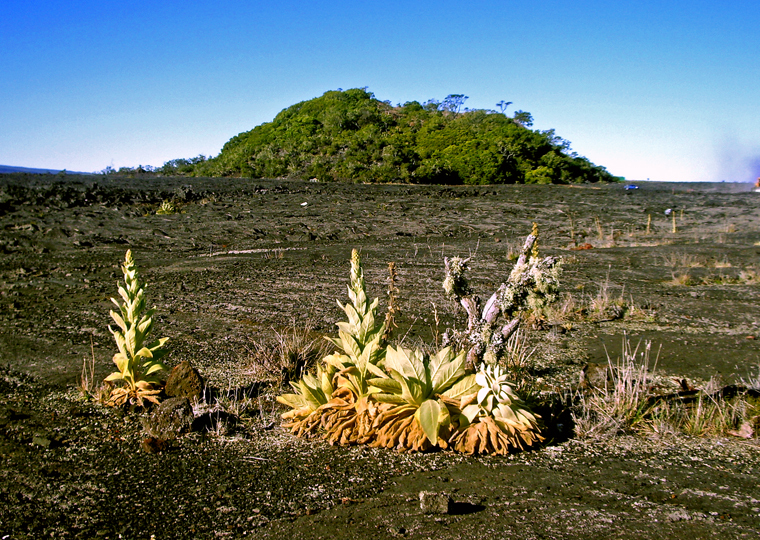 Kipuka Pu’u Huluhulu is famous for the number and variety of rare and endangered Hawaiian plants and birds that inhabit it. 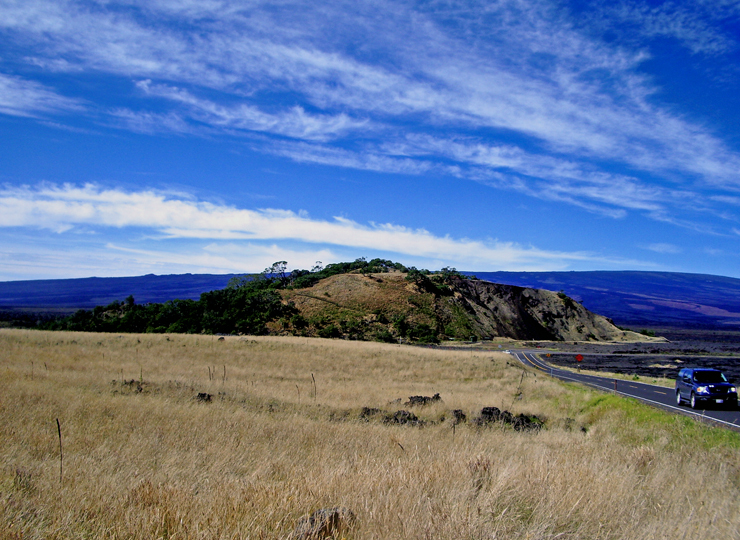 Kipuka Huluhulu is located at the intersection of Highway 200, the Saddle Road, and the Mauna Kea Access Road, John Burns Way, at mile marker 28. Early morning, when the birds are active and the sun shines on a slant (making views more dramatic and the birds easier to spot) is the best tome to visit the Kipuka. 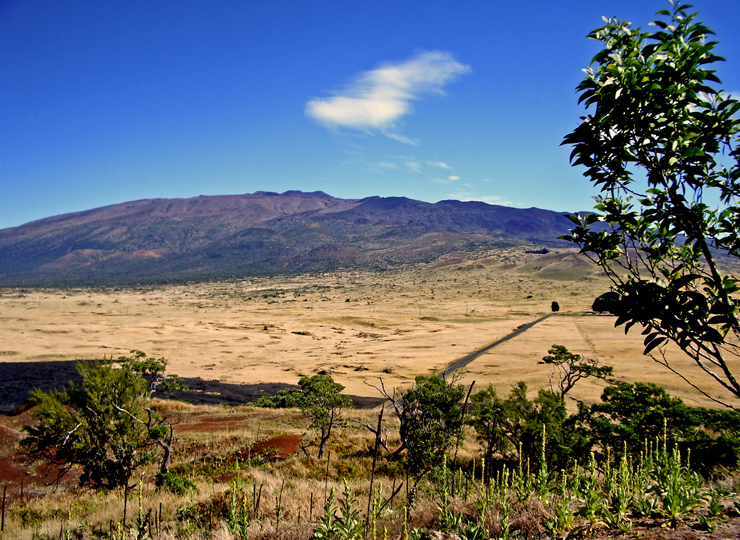 Kipuka are small stands of grassland and forest that have become isolated by lava flows through time. As tiny island in the greater landscape, they can become become biologically cut-off from the rest of the ecosystem. Species can rapidly mutate, adapting to the special conditions in the kipuka, very, very rapidly and biologists have found new subspecies of insects and plant in kipuka that have only been isolated half a millennium, or so. 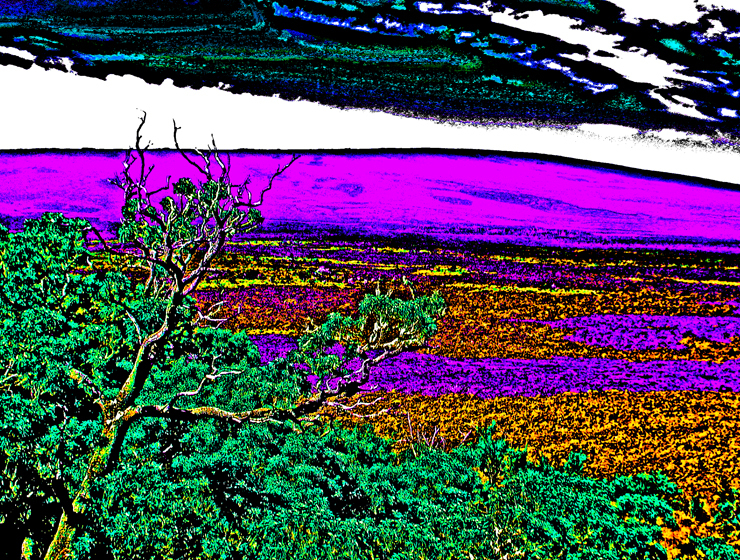 The 38 acre Kipuka Huluhulu, which was deforested by cattle over-grazing and isolated by the 1843 and 1935 lava flows, represents a window view of what the Koa forest here may have looked like. 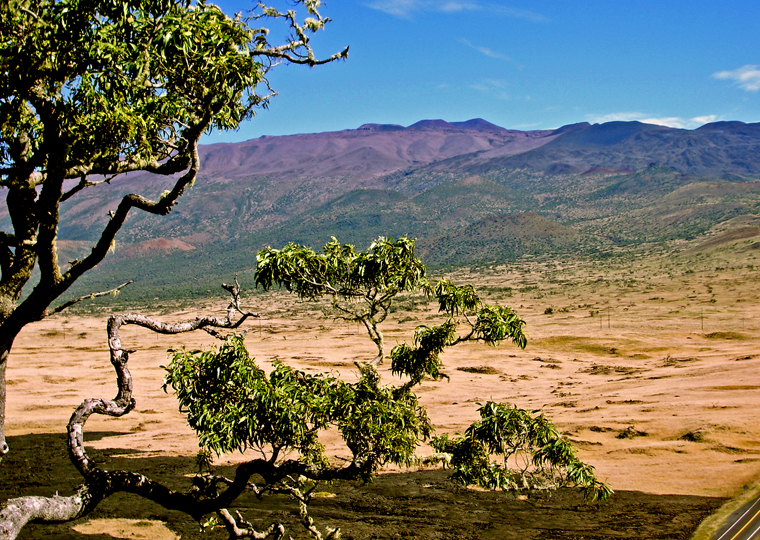 It’s name meaning “furry hill”, this forested cinder cone has three main trails winding up through rare native koa trees, and other rare and endangered flora, to breathtaking 360° views of Hualalai, Mauna Kea and Mauna Loa at the top. Here you can also wander a meadow of native Hawaiian plants recently reintroduced in this protected habitat. 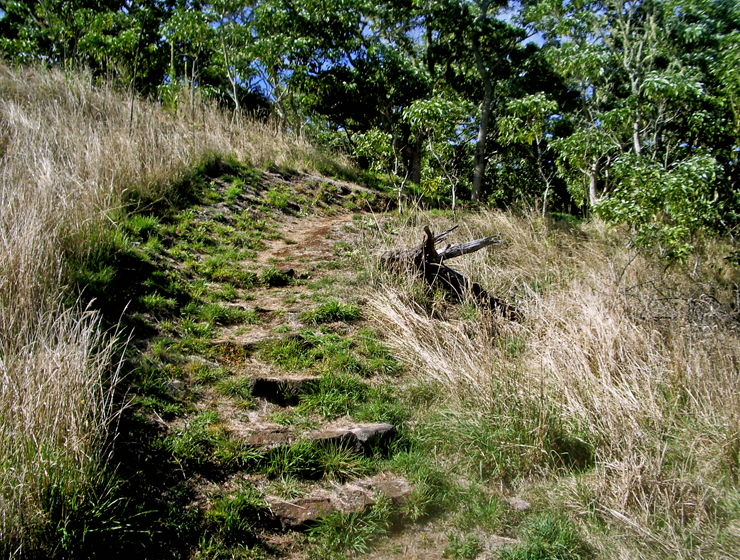 By whatever trail, the summit of Kipuka Pu’u Huluhulu is only about 25 minutes walk from the car. Owing to the encapsulated nature of the kipuka, bird watching here is particularly fabulous; the Ā’akepa, Nene and the Ā’akiapola Ā’au, as well as the Kalij pheasants, pueo, i’o and turkeys are among the rare, endangered or just plain beautiful birds you will see here. 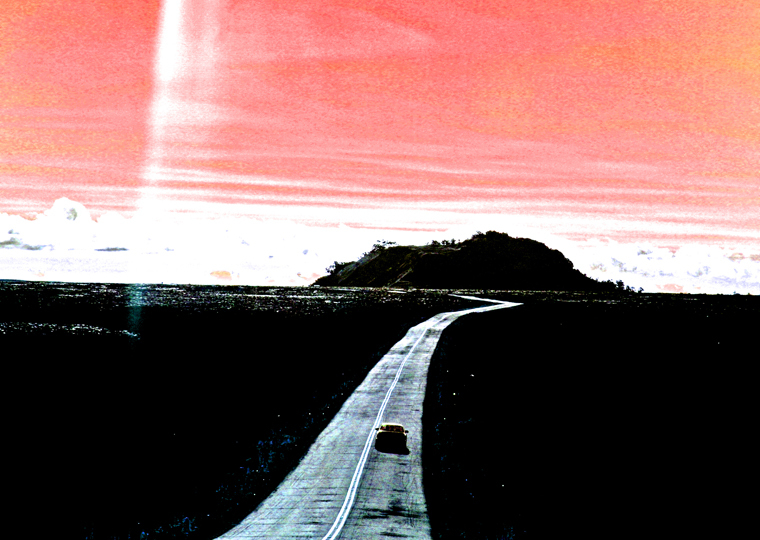 The numerous roads and trails through the hundreds of square miles of the adjacent Humu’ula area. 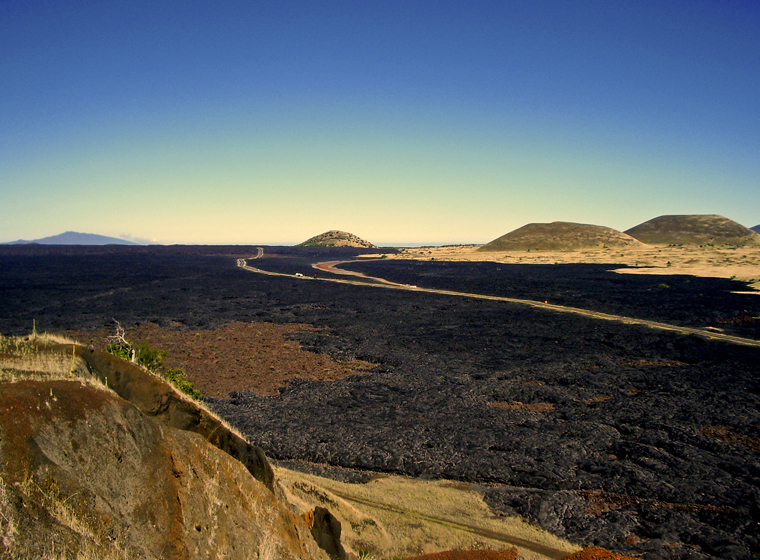 lava flows makes for interesting, if hot and dry, mountain biking and hiking. Remember that is is a protected wildlife area and that the fences are there to keep destructive wild goats and feral pigs from coming in and damaging the delicate ecosystem. Please do not fail to close all gates behind you as you enter and exit. Parking and a unisex pit toilet are the only amenities available at Kipuka Pu’u Huluhulu.